I can Install it Free for You, I have both for Flat Screen and For Edges. 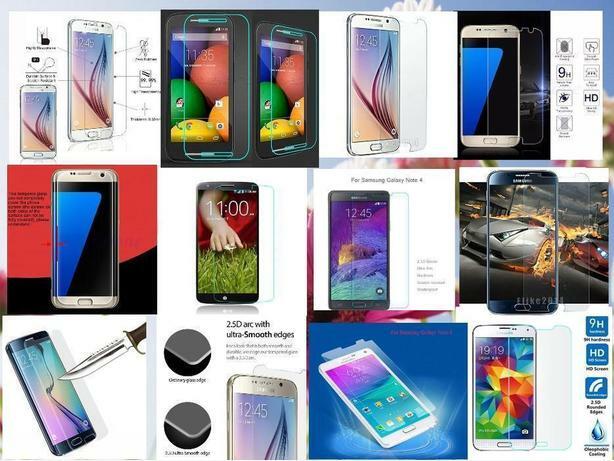 BRAND NEW CRYSTAL CLEAR THIN STRONG TRANSPARENT BUBBLE FREE APPLICATION ANTI GLARE TEMPERED GLASS PREMIER QUALITY SCRATCH PROOF SCREEN PROTECTOR FOR SAMSUNG GALAXY SMART PHONE S5, S6, S6 EDGE, S6 EDGE PLUS, S7, S7 EDGE, NOTE 3, 4, 5 TO PROTECT FROM SCRATCHES, SCUFF, DIRT AND DUST. IT'S TRANSPARENT CLEAR GLASS SCREEN PROTECTOR FOR FRONT LCD SCREEN. EASY AND BUBBLE FREE WATER & OIL RESISTANT APPLICATION AND REMOVAL AND KEEPS YOUR PHONE SCREEN AS NEW AS IT WAS PURCHASED NOW. Asking only $20.00 for flat screens and $25 for Full Curves Edge Phones, if interested, please text, email or call @ 306 737 7845 and see my other ads for great stuff.